The pub is called "Bag o' Nails," though with its distinguishing feature it could be called "Bag o' Claws." 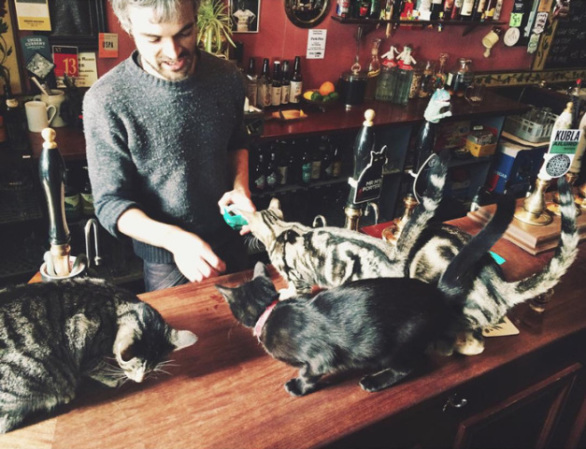 Like any other British pub people come for the beer and the talk, but here you can also mingle with the feline folk. Some of the moggies will even deign to sit on a lap now and then. 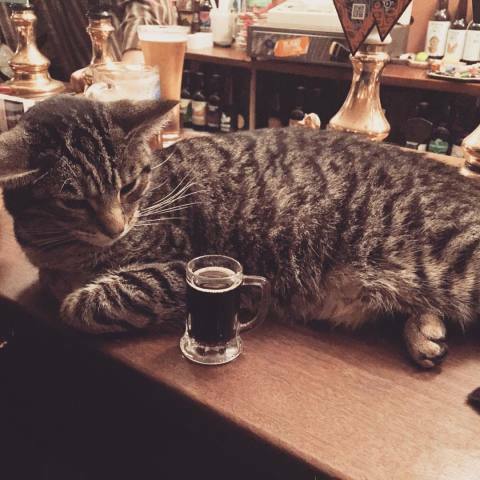 According to Daniels, all of the cats were born in the pub. One of the kittens, he claims, even landed in the world on a pub quiz night in a crisps box. Hey, cardboard is warm and comfy to a cat -- so why not? In fact, there are many such boxes set out around the pub for kitty comfort. The RSPCA is concerned with strangers handling cats that don't want to be handled. In my book cats are pretty good about making their feelings known about this in such a way that people are quick to take note and back off. 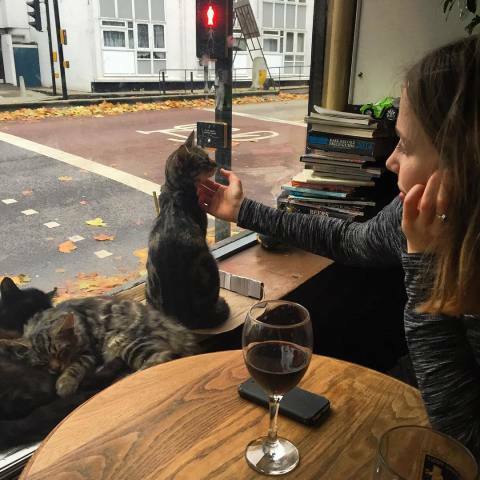 The society is also concerned about the bar's patrons sharing food and drink with the animals. Well, the bar doesn't serve food, so there's that sorted out. 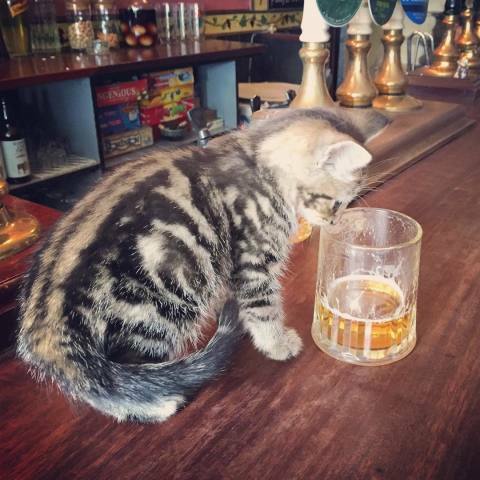 As for the beer -- I have yet to meet a cat that would go for beer. Dogs yes, cats no. Still they may have a point on that one. I'm not much of one for drinking and bars, but if there was a pub like this near me I would probably take it up. Since I have a tendency to overdo things it is probably a good thing that this pub is thousands of miles away. All Cats Love A Touch Of The Nip! Ice Age Giants -- The Awesome Sabre Tooth Cat Animal Video of the Day!! !